In a lawless future land, where life is cheap and survival is hard, Saba has been brought up in isolated Silverlake. She never sees the dangers of the destructive society outside. When her twin brother is snatched by mysterious black-robed riders, she sets out on an epic quest to rescue him. Blood Red Road is a fast paced, action packed adventure. Saba's world has been turned upside down and is falling apart and she is determined to do whatever it takes to make things right, no matter what the cost. This is a book that is more about the journey than the destination. It was a delight to watch the characters grow and change as they struggled to overcome the obstacles that stood in their way, particularly Saba and her little sister Emmi. At the beginning of the book they are constantly fighting, as siblings do, but as the story progresses they learn that without each other they would be lost. The unusual writing style does take a bit to get used to but I found it only enhanced the experience and added depth to the characters and world in general. The storyline left a lot of unanswered questions, which has paved the way for the sequel. The Victorian language of flowers was used to express emotions: honeysuckle for devotion, azaleas for passion, and red roses for love. But for Victoria Jones, it has been more useful in communicating feelings like grief, mistrust and solitude. 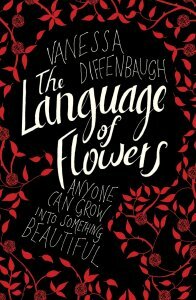 After a childhood spent in the foster care system, she is unable to get close to anybody, and her only connection to the world is through flowers and their meanings. Now eighteen, Victoria has nowhere to go, and sleeps in a public park, where she plants a small garden of her own. When her talent is discovered by a local florist, she discovers her gift for helping others through the flowers she chooses for them. But it takes meeting a mysterious vendor at the flower market for her to realise what's been missing in her own life, and as she starts to fall for him, she's forced to confront a painful secret from her past, and decide whether it's worth risking everything for a second chance at happiness. I want to start by saying this is not the type of book that I normally read, I picked it up on a recommendation. 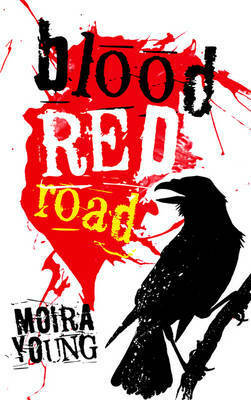 I was pleasantly surprised by how much I enjoyed this book. It was interesting to discover the meanings behind the flowers and it made me wonder if people would chose their flowers differently if they knew the meanings. The novel is very well written, I really enjoyed the gradual insights into Victoria's past. I found the pace to be a bit slow for my liking, therefore taking me longer to finish it than I would have liked, but it was definitely worth taking the time to finish.